Eliza left everything she knew behind for him, but sometimes love just isn’t enough. Especially when he opens a hidden shoebox and starts asking a lot of questions about her past life. As the walls Eliza has carefully constructed threaten to come crashing down, will she find a way to keep hold of everyone she loves, and maybe, just maybe, bring the two sides of her heart together at last? Oh, I am so VERY happy to be kicking off the blog tour on publication day for this most marvellous book! Happy Publication Day, Beth. The hugest thanks to Kim Nash at Bookouture for giving me a place on the tour and for my gifted copy of the book, which I have reviewed honestly and impartially. The blurb of this book doesn’t really give you a clue what to expect between the covers and gives very little hint of the main plot device of the novel, so it is going to be quite difficult to write a comprehensive, spoiler-free review. Still, I’m up for a challenge so let’s give it a go. This is a ‘two worlds collide, fish out of water’ story about a couple falling in love from opposites sides of a divide that throws up a multitude of problems in their relationship. If you scout other reviews, you will probably find out what the differences are that divide them without reading the book, but I think that will be a shame for you and I would advise you going into the book naively and discover the secret for yourself as you read. For me, it was really eye-opening, as the world Eliza comes from is one that I know nothing about, and learning about the conventions and rules of the society in which she lives was fascinating and humbling; I’m embarrassed that I have never taken the time to learn more about it before. However, aside from the particular issues Eliza’s background presents to the relationship, there is a lot in this story that rings true for anyone who has ever been in a relationship, especially one that has been entered into at a young age when, whilst we might feel we are adults, we are largely unformed and uninformed as people, and we are making life-changing decisions joining ourselves to other people when we don’t really know who we are ourselves. Through the book, the author explores all kinds of relationships that shape all of our lives, not just romantic ones. The bonds of family – spouses, parents, children, siblings, friends, extended family, wider community- their needs, expectations, ideologies, personalities, dynamics, all of these things affect each of us in different ways and impact our behaviour and decisions and part of life is learning where we fit, how to manage these things, when we should comply, when we should rebel, what is important and what isn’t. The arts of empathy, understanding and compromise are something we all need to learn, whoever we are and wherever we come from. The author writes with sensitivity, warmth and approachability. Her characters felt so real to me, even though the world she is writing about is so alien in many ways, I was totally drawn in. The main character, Eliza, could be me, you, or any of us because, as humans, we have more similarities than we have differences, no matter who we are or where we come from, if we choose to see them and focus on them, rather than our differences. Given some of the current things going on in the world today, I think this message is an extremely relevant and important one to be getting out there, and this book does it beautifully. This is a gorgeous story, the writing pulls you through with ease and pleasure. There was nothing but joy in the reading of it for me, and I cannot recommend it highly enough. Pretty close to reading perfection. The Two Hearts of Eliza Bloom is out today and you can get a copy here. I am not a massive fan of books set in wartime in general, but I was absolutely intrigued by the approach this book is taking to the subject – the main character answering agony aunt letters that are too Unpleasant for the real agony aunt to answer – and the way Joanne describes it made it sound both light-hearted but moving at the same time, so it sounded just my kind of book. Everyone has been raving about it, and the plot sounds so original, I was really drawn in by the hints at the personality of Mrs Bird, as well as the friendship between Emmy and Bunty that it would appear to be a ‘must read.’ Anyway, who wouldn’t want to read a book where one of the main characters is called Bunty and everyone speaks with capital letters at the front of words? Joanne’s blog is one of the very earliest that I discovered, long before I started blogging myself. In fact, hers is one of the blogs that inspired me to start my own. I was always finding reviews for new books that I hadn’t come across and sounded interesting, and the reviews were always detailed, fair and honest and enticing. She often puts little personal details in as well, and I think it is very attractive when we get a feel of the person behind the blog through their reviews. 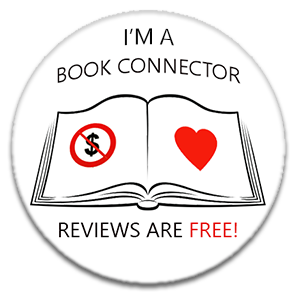 If you feel like you are making a friend through reading their book reviews, that makes a blog a big draw for me. Joanne is a very well-established and respected book blogger and you should definitely go and check out her blog here. If Joanne’s review has tempted you to pick up Dear Mrs Bird, you can get a copy here. As for me, this book will not be languishing on the TBR for much longer. I will be reading it in a couple of weeks as part of The Fiction Cafe Reading Challenge 2019, for the category of ‘an uplifting book,’ so watch out for my review coming next month. I am delighted to be taking my turn today on the blog tour for The Six Loves of Billy Binns by Richard Lumsden. My thanks to Anne Cater for offering me a place on the tour and to Tinder Press for allowing me to publish an extract from the book for you today. I have to get it down before it’s gone for good. While it’s still clear in my head. While they’re all sat beside me, as alive now as they were then, these people I once loved. Hello, Mary. Do you remember me? You were my first, though there may have been others before you; slips of things, stolen moments behind a mar- ket stall or in the straw of a cattle barn, but nothing to match the time we shared together. That first eruption of love when the world shifts and everything glows orange. You died much too young, of a broken heart if I remem- ber right. Not sure if it was me or someone else who broke your heart, but we were never meant to last, you and me. Too many complications along the way, what with one thing and another. Still, I loved you, Mary old girl. I loved you, Evelyn Ellis. For a lifetime, if I’m honest. We were the right age for love when we started out. You were my forever girl. A love that should have lasted to the end, but the world doesn’t work that way. I loved you from the first moment I saw you. You might say that isn’t true, but you’d be wrong. I loved you then as I love you now. These dry embers, buried deep, set alight once again at your memory. A fire that burned quiet for the rest of my life. I loved you, son, as soon as I knew you’d sparked into life. Knew you were a boy. I felt you kicking, your tiny feet. Knew it would be you, Archie Binns. With your scruffy knees poking out of your shorts. Your pockets full of mar- bles; the catseye and the oxblood, the jasper, the aggie and the ruby. Your little hands. Do you remember how we climbed trees together? You know how much I loved you. I’m not sure if I ever said it to you, not out loud anyway. Not in words so you could hear. But you knew it, didn’t you, son? I was unhappy when I first met you, Vera. Forty-something, was I? Life was on a downward spiral, then you showed up out of the blue. You were so beautiful and you made me very happy. You caused me trouble, too. I paid a price for loving you, that’s for sure. For a while I was lost in the wreckage, but isn’t that what we hope for when it comes to the end: to know we didn’t just pass by but lived through some- thing real along the way? Everyone should be lucky enough to have a Vera once in their lives. Despite the trouble. Despite the price you end up paying. To be taken to the edge and made to jump. To love until it hurts. Didn’t think I’d ever get those feelings again, much later on in life. After Evie and Vera and the rest of them. But suddenly there you were. You brought me out of retire- ment, you might say. We were old when we met. Not proper old like I am now, of course. I was still able to do something about it back when you showed up, and we made it good, the two of us, when there wasn’t much pickings around. Some lovely years together, me and Mrs Jackson. Funny, still calling you Mrs Jackson after all this time. Mary, Evie, Archie, Vera, Mrs Jackson. Five of them in all. Five loves? Is that it? It doesn’t sound much after all this time. I recall the names, but the faces come and go. long they’ll be in your life for. It could be minutes or it could be forever. You don’t know when it starts. And you don’t know when it stops. Some endings are final, others take you by surprise. Their last goodbye. The world drags them away and all that’s left is a fading memory, turning to dust like the flesh on these old bones. I want to remember what love feels like, one last time. To remember each of the people I loved, to see them all clearly again. Get it down on paper, all the details, before it’s gone for good. If you enjoyed this short extract from the book and would like to read it in full, you can buy a copy of The Six Loves of Billy Binns here. So, now I am sure I have achieved my goal of being the last English-speaking person in the western world to read Eleanor Oliphant is Completely Fine, I thought it was about time I got round to it and posted a review. The only problem is, since every other book blogger on the face of the planet has already read and reviewed this book, ad infinitum, what could I possibly have to say that hasn’t been said already? I have to admit I was little concerned going in, as the book has had such hype that I didn’t believe it could possibly live up to my expectations. At the same time, I have read more and more reviews recently by people who have abandoned the book at an early stage, having been unable to get on with the main character at all. This included my own mother, although she and I have very different tastes and opinions on most things anyway. I needn’t have worried. I absolutely loved every page of this book. I thought the character of Eleanor was unique and intelligent and really insightful and the whole story so well-drawn from beginning to end that I could not help but get drawn in to her world and life. What a sad and touching and lonely life she has had, until her friendship with Raymond changes everything for her. My heart is bruised from how much this story pummelled it with wave after wave of emotional wrenching. It has been a long time since it has had such a workout. I guess I can understand how some people can find Eleanor jarring, she does not represent the social norm, but that is the entire point. This is the reason she is so isolated and uncomfortable with her peers. The discomfort that the reader might feel is illustration of why people like Eleanor become so socially isolated and lonely, but if we, as the reader and as people in society, push past this, we find the real person underneath who just longs to belong and is well worth knowing and Raymond is the model of what we should be. Warm, tolerant and understanding, I just loved him, although he himself might not be seen by society on first glance as the perfect specimen. When I am reading, I tend to make little notes of pages where a particular line or paragraph has caught my eye as something that has touched or spoken to me or is worth remembering. I don’t think I have made as many notes on a book of parts I wanted to revisit as I did on this book. It was like the author was speaking directly to me, or even speaking my own thoughts at times. The final paragraph of Chapter 8. Halfway down page 106. The penultimate paragraph of page 174. The third paragraph of page 195. The top of page 238. A small phrase three-quarters of the way down page 286. The phrase on page 305, “Yellow tights did not, I noticed, flatter a sporty calf.’ All of these held small phrases or images that were joyful or moving or resonant or delightful to me. You will all have your own favourites, I’m sure. Some of it made me cry. Some of squeezed my chest so tight I grew short of breath. Some of it was just too painfully….truthful. This book is marvellous. It, and Eleanor, are truly worthy of every minute you invest in reading it, and re-reading it will I am sure be equally beneficial. Anyone who does not persevere and try to find some bond with the character is missing out. A profoundly honest book that feels like it was written just for me. If there is any chance at all that you haven’t got a copy of this book, you can buy it here. So very happy to be taking my turn today on the blog tour for The Songs of Us by Emma Cooper as I absolutely love this book, and the person who wrote it. My thanks to Anne Cater at Random Things Tours for inviting me on to the tour so I get another chance to rave again about this wonderful book ahead of its paperback publication tomorrow. I reviewed this book originally back in March so, when you read the review below that I am reposting today, you may recognise one of the lines from it quoted above. Yes, that’s me, on a poster! Fame at last..kind of. The Songs of Us is out now on Kindle and in paperback tomorrow and you can (or I should say, must) get a copy here. I’m delighted to be taking my turn on the blog tour today for I Give You My Heart by Sarahjane Ford, a really emotional read. My thanks to Rachel Gilbey at Rachel’s Random Resources for my place on the tour and the author for my copy of the book which I have reviewed honestly and impartially. Make sure you enter the giveaway below the review. “𝗔 𝘁𝗲𝗿𝗺𝗶𝗻𝗮𝗹 𝗱𝗶𝗮𝗴𝗻𝗼𝘀𝗶𝘀. 𝗔 𝗹𝗶𝗳𝗲-𝘀𝗮𝘃𝗶𝗻𝗴 𝘀𝗮𝗰𝗿𝗶𝗳𝗶𝗰𝗲. 𝗔 𝗹𝗼𝘃𝗲 𝗹𝗲𝘁𝘁𝗲𝗿 𝘄𝗿𝗶𝘁𝘁𝗲𝗻 𝗼𝗻 𝘁𝗵𝗲 𝘄𝗮𝗹𝗹𝘀 𝗼𝗳 𝗵𝗲𝗿 𝗵𝗲𝗮𝗿𝘁. This is a really tough book to review because there are some things I loved about it and some things I didn’t like so much. This book was never going to be an easy read, dealing as it does with terminal illness and organ donation so, before you pick it up, be prepared for an emotional rollercoaster and get the tissues to hand. Regardless of any flaws I might have found in the book, it is definitely heart breaking and you would need to have a heart of stone not to be affected by it. It might be too much for people with a sensitivity to the topics covered to deal with because it delves fully into the topics and does not skirt the tough issues faced by people in these situations. One of the main premises of the book is the subject of Cellular Memory and whether organs passed on from donor to recipient carry part of the donor’s personality or spirit with them into the new body. This is quite a controversial subject for some people and can raise strong opinions and reactions on both sides. If you are deeply opposed to this theory, this book will definitely trigger you and, if you are skeptical, you will need to be prepared to suspend your misgivings in order for the plot to carry you with it fully. This may be where I had my first issue with the book; to be frank, it is not an idea I can get my head around at all, although it is an interesting theory to contemplate and discuss. I hate to have to put in a but because I really, really wanted to love this book unconditionally. PS. I Love You and My Sister’s Keeper and The Time Traveller’s Wife are some of my favourite books so I am not remotely put off by books with difficult subject matters or that make me cry. That aspect was not the issue here, and my reservations about the Cellular Memory subject were also not the reason I could not completely give my heart to this book. I had a two major issues with the book that spoilt it for me a little. Firstly, the characters were just too perfect. All of them. There was nary a negative character trait nor a cross word amongst them and, for me, this just made them unrealistic and I could not get fully engaged. People and relationships are just not that perfect in real life. Alice, in particular, came across as saintly and, since I’ve never met anyone that good, she just did not come to life completely for me which is a problem with the central character for a book. The other problem was Alice’s reaction to her diagnosis. Again, it did not feel authentic. I don’t want to give too much away, but she settled on her course of action in response to hearing her illness was terminal too quickly without any disbelief, rage or despair, I just could not see that as a natural reaction to what she was told at the age of 26. Following on from this is the Manual. Would she really have wanted Two to do what she asked her? For her to relive those moments with Alex, given how Alice felt about him? This comes back to her saintliness again, I suppose. I just didn’t believe it, I’m afraid. I realise that this is not likely to be a popular opinion and maybe the failure is mine in being old and cynical and being unable to suspend my disbelief enough to invest in the story without these niggling thoughts, but I couldn’t. My reactions are very likely coloured by certain experiences I have had in my own life, but isn’t that true of all of us and every book we read? We all come to a novel with our own slant on the world. I really think this is a book everyone should read. It is a beautiful story for sure. It is well-written and plotted and covers some very emotive and relevant topics. Everyone will have a different reaction to it and most of the reviews I have read so far seem to be wholly positive so I think my issues may be peculiar to me. You need to read the book and make up your own minds, it may end up being your favourite book of the year. I Give You My Heart is out now and you can purchase a copy here.